Bullying affects everyone at some time in his or her life, as a bully, as a victim or both. It also affects those other children who are observers of an incident, and less aggressive pupils can be drawn in by group pressure. Although bullying occurs in all schools in one form or another, it is not an inevitable part of school life or a necessary part of growing up, and it rarely sorts itself out. It is clear that certain jokes, insults, intimidating or threatening behaviour, written abuse and violence are to be found in our society. No one person or group, whether staff or pupil, should have to accept this type of behaviour. Only when all issues of bullying are addressed, will a child be in a position to derive the maximum benefits from the opportunities available at school. At Ysgol Rhys Prichard, we believe that our pupils have the right to learn in a supportive, caring and safe environment, without the fear of being bullied. We consider all the elements of any incident including age, gender, background and current intervention systems. All schools, both large and small, contain some numbers of pupils who inherently have the potential for displaying bullying behaviour. However, if a school is well disciplined and organised, it can minimise the occurrence of bullying. It is important, therefore, that we have a clear written policy to promote this belief. All parties; staff, pupils and parents, must be fully aware that any bullying complaints will be dealt with firmly, fairly, consistently and promptly. Verbal abuse can take the form of name-calling. It may be directed towards children who are different as a result of gender, ethnic origin, physical/social disability, or personality, etc. A child can be bullied simply by being excluded from discussions or activities, with those they believe to be their friends. 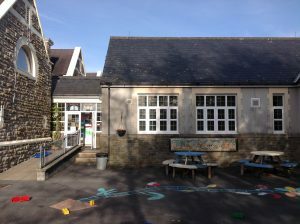 Pupils may have their property damaged or stolen. Physical threats may be employed by the bully as a means of coercing another child to act against their will, in order that the pupil hands over property. WHAT CAN BE DONE TO REDUCE THE OF OCCURRENCE OF BULLYING? Ensure adequate supervision at all times. Use any opportunity to discuss aspects of bullying, and the appropriate way to behave towards each other, e.g. the PSE programme and other intervention strategies. Review the School Policy on an annual basis, evaluating its degree of success and amending accordingly. Ensure that all teaching materials and equipment are compliant with the school’s equal opportunities and racial discrimination policies and do not contain any elements that would incite discriminatory behaviour. Encourage pupils to discuss how they get on with other people and to form positive attitudes towards other people. This would include a review of what friendship really is. Ensure that pupils are made continually aware that the school views bullying as a very serious offence and will take all necessary steps to eradicate it from school life. Help, support and counselling will be given as is appropriate to both the victims and the bullies. taking one or more of the six disciplinary steps outlined below to prevent more bullying. by taking one or more of the six disciplinary steps described below to prevent more bullying. All sanctions imposed upon a child should be in keeping with the positive discipline policy adopted by the school. However, the reality is that there will potentially be incidents where the behaviour of a child is deemed to be sufficiently inappropriate as to warrant a response outside the normal withdrawal of privileges. Below is a guide of the steps to be followed when dealing with behaviour of a serious nature that caused distress or harm to another pupil. The child must be brought to the attention of the Headteacher, or in his absence, a senior member of staff, and will be given a verbal warning that behaviour of this kind is inappropriate, will not be tolerated and must stop immediately. If there is a repetition of the offence, the parents or guardian will be invited into school to discuss the matter. A strategy will be discussed where the school and home will work collaboratively to reinforce the gravity of the situation and encourage a change in behaviour. A copy of the Discipline Policy will be made available to the parents where necessary. The action to be undertaken by the school, if there is no improvement in behaviour, will be outlined. If the behaviour persists and is most prevalent during break-times, the pupil will be excluded from activities at break and/or lunch times. If the bullying does not stop, consideration regarding exclusion will be given. This policy is monitored by the governing body and will be reviewed as necessary.